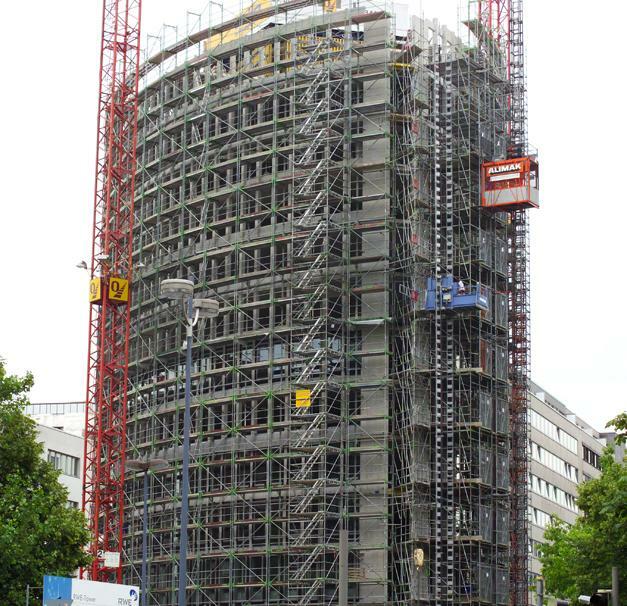 The RWE Gas Tower was sited right in the centre of Dortmund, Germany. 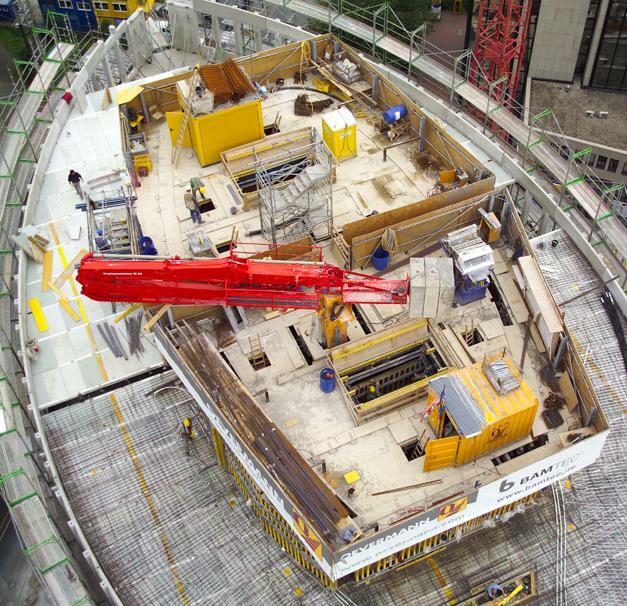 Space was at a premium and the challenges posed by the project were considerable, but two SCP platforms got the job done. 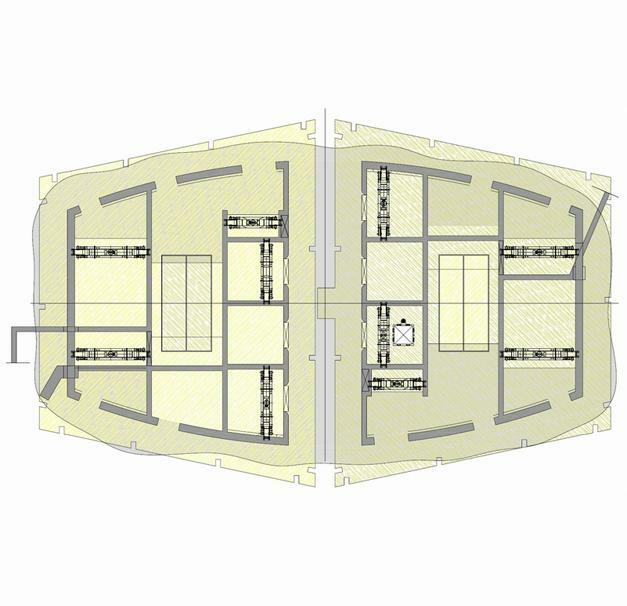 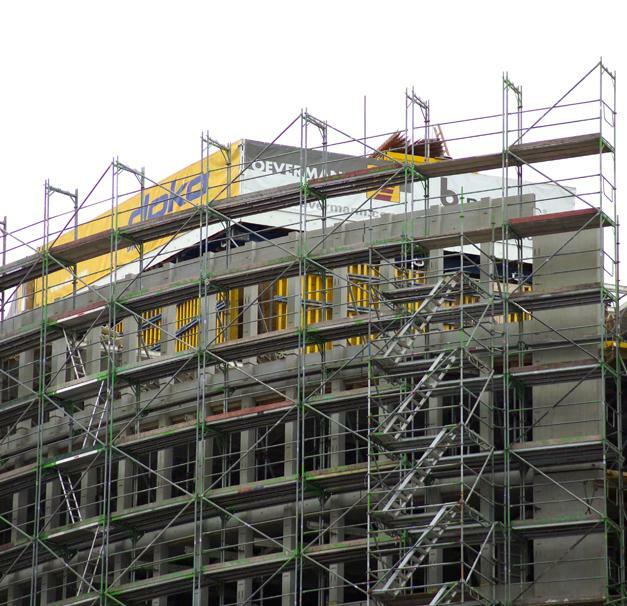 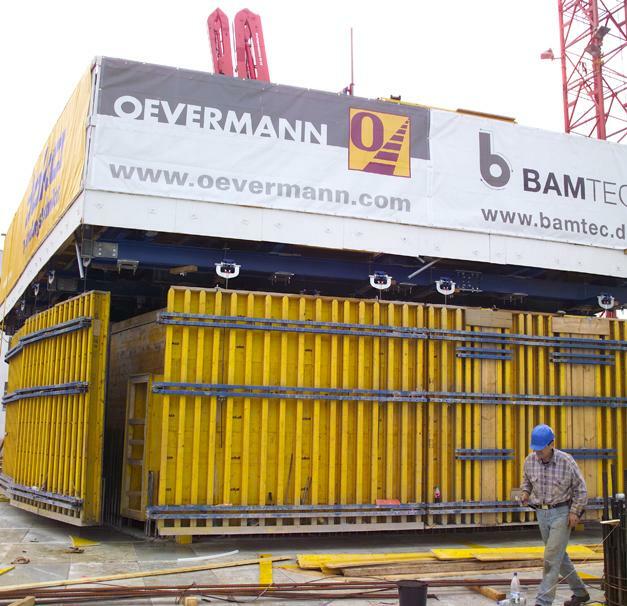 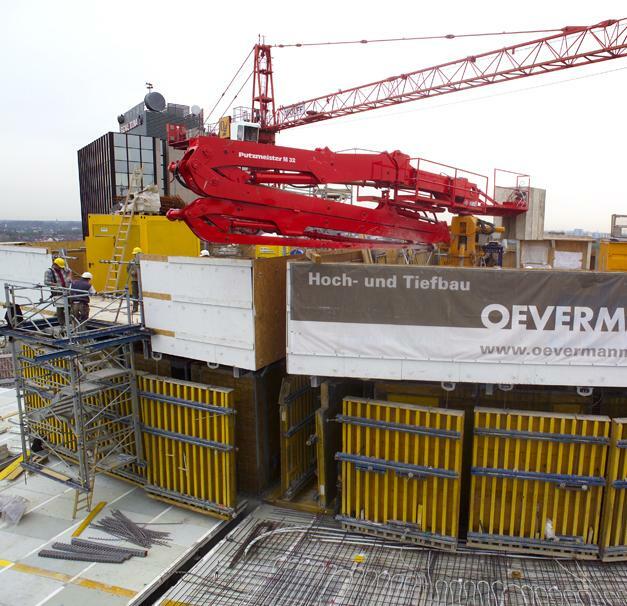 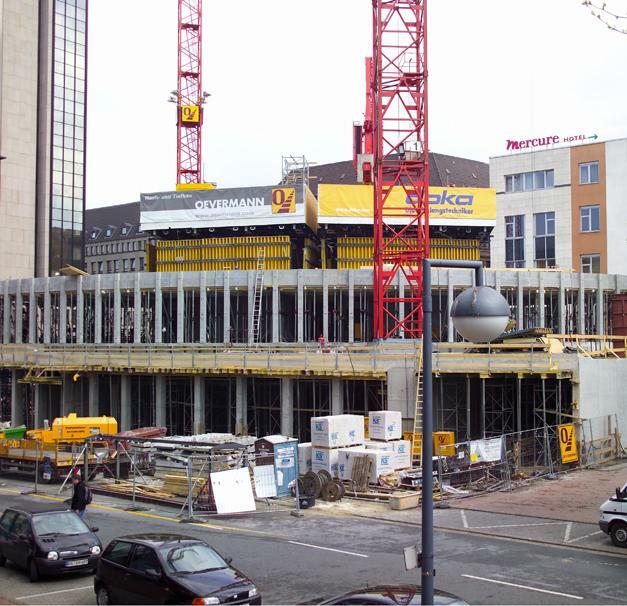 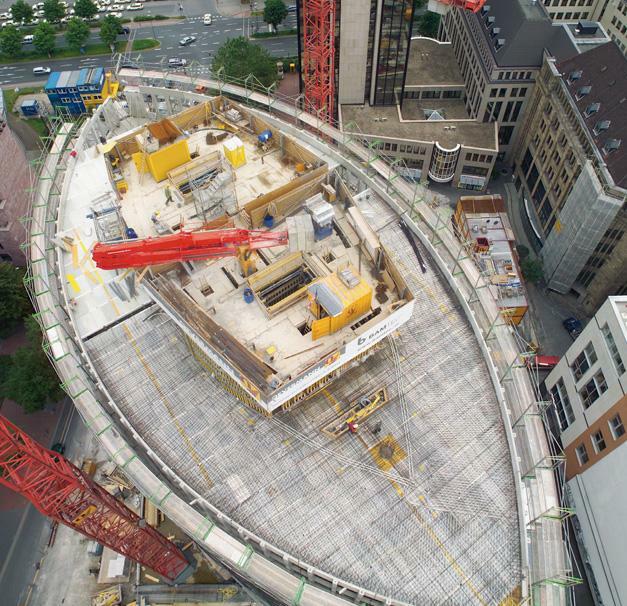 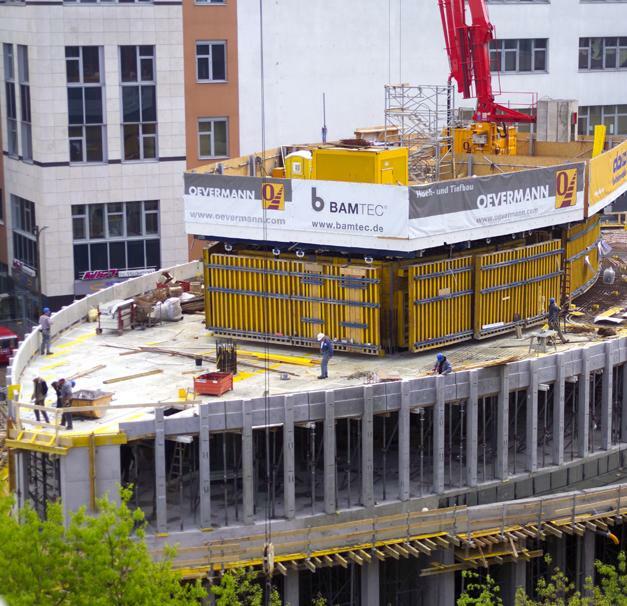 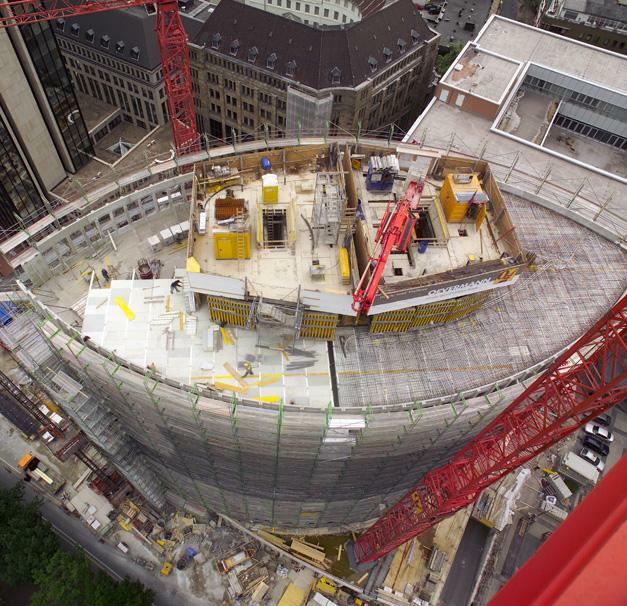 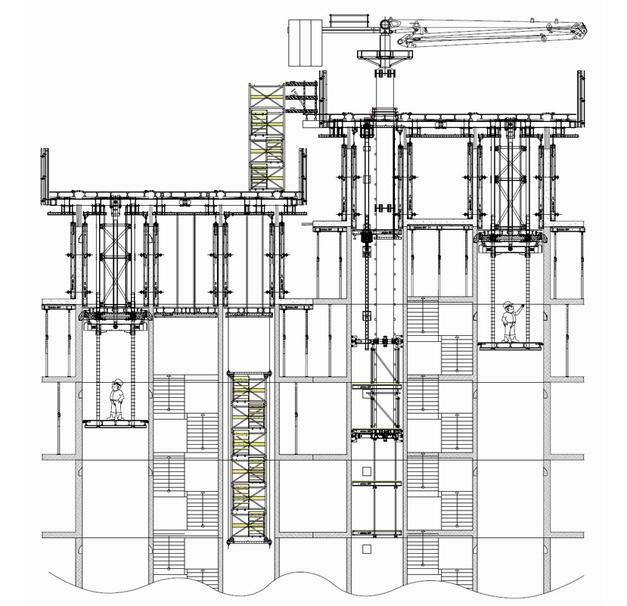 Numerous requirements were made of the formwork system: It had to manage curved outside walls with a 10 cm return, and to permit casting of walls+slabs in a single pour, even on the inside of the core.